Gene Barry, famous for his Bat Masterson series which debuted in 1958. 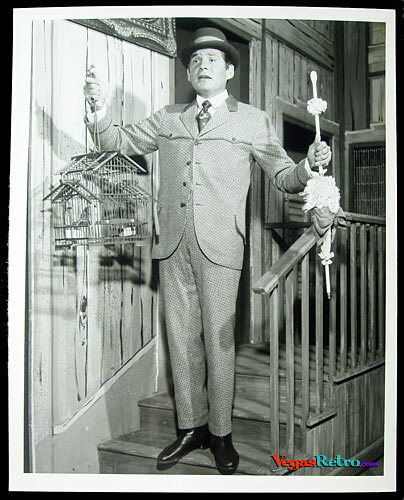 We assume this 7x9 glossy print is from the musical "Destry Rides Again", a musical comedy playing at the Riviera Hotel in 1960. Barry himself said of the time, ""I did a musical, "Destry Rides Again," in Las Vegas under really difficult conditions. I was doing the series on television at the same time, and each night after the Vegas show I'd be driven back to Los Angeles to be on the set next morning. Then I'd fly back to Vegas in the evening. It was a really wearying time."